Have you ever had one of those slightly under the weather days when you just feel like you have hit a wall of fatigue? Today was one of those days for me and no matter how many cups of coffee I had, I couldn’t shake the tiredness or lack of appetite. Whenever I feel like this, a bowl of Shanghai wonton soup in chicken broth from Mooncake Foods is my salvation. 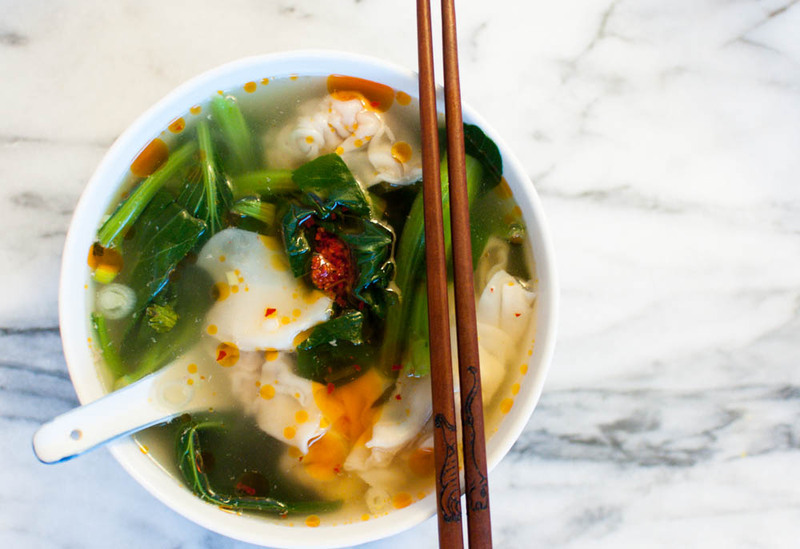 The clear savory broth is light and the wontons full of pork and shrimp. One big steaming bowl and I feel revitalized already.